Happy Labor Day weekend, everyone!! I hope you all are enjoying your weekend thus far. If you’re thinking about preparing something extra special for breakfast, or brunch, for your Labor Day holiday, you may want to consider whipping up a batch of this Overnight French Toast. The best part is that you can prepare this dish the evening before you want to serve it, so all you have to do in the morning is pop it into the oven and 30 – 35 minutes later, you have a delicious breakfast for you and your family. Bake for 30-35 minutes. If the top starts browning too quickly, place a piece of aluminum foil loosely over the top of the pan for the last 10 minutes or so. You want it to cook long enough to make sure the bottom part is cooked, but don’t dry it out completely. Every so often I stop in for a visit. It’s a nice surprise to see you are back! Your French Toast sounds wonderful. I’ve never used Ginger when making it. What a great flavor and so easy when it’s prepped the night before! Thanks. 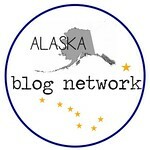 Thank you for continuing to visit my blog, JG! It’s really good to be back! Yummy! I can’t wait to try this one – it looks absolutely delicious! I am so happy your back to posting your awesome recipes again. sounds yummy! thank you for posting! You’re welcome, Andrea! Thanks for visiting! Just found your blog. Does it have a name? All I have is the address for the make ahead French Toast. Thanks….that looks like a great recipe. What a delicious toast is this!! Thanks for sharing. You’re welcome. Thank you so much for visiting my blog! Please let me know how you like it, Shuhada. Love new recipes. My daughter shared your site. I’ll be doing your French toast for Christmas brunch. Merry Christmas to you and yours. Merry Christmas to you too, Carol! Thank you so much for visiting my site! This was THE absolute best French Toast I have EVER had! Instead of pecans, I used almonds. The outside was slightly crisp, the inside like an awesome custard. Spoon some of the ‘juice’ from the bottom of the pan over the toast, and you will not need syrup. This recipe could easily be posted in dessert categories too. SO GOOD!! I am going to try this for sure! Thank you for posting it! This is in the oven as we speak. Smells delicious. I’ll come back to visit again! How many people does this serve? It sounds heavenly! I’m helpint to host Thanksgiving next weekend and I’m in charge of Monday’s brunch! I will have 36 family here, and was thinking of using your French Toast dish for the children (there will be 13 of them). So I need to know how many it serves. Thank you so much! The serving size will depend on how many slices each person will be eating. 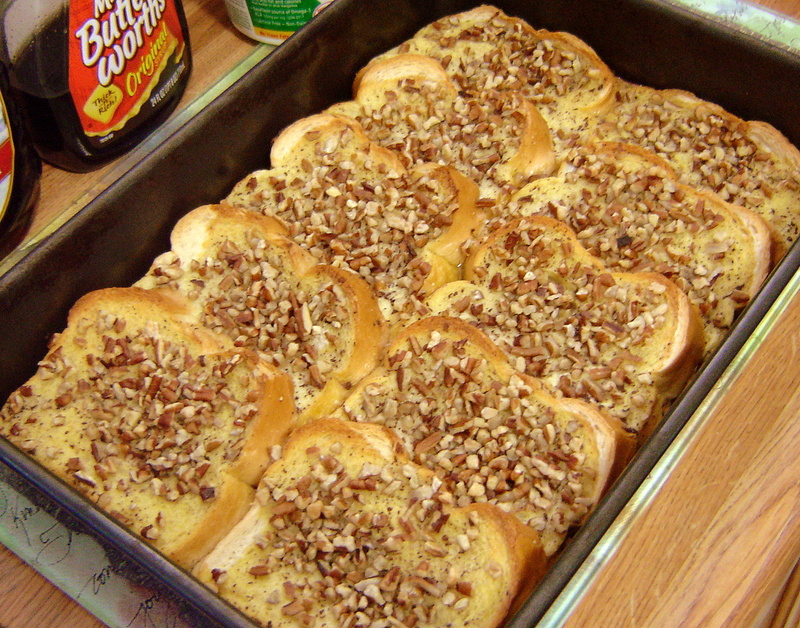 This recipe makes 10 slices of French Toast, so if each child only has one piece, it will serve 10. If they have two pieces, this recipe will serve 5. You’ll probably want to make at least two batches of French Toast, if you decide to use this recipe. Thank you so much for visiting, Colleen! I hope you have a wonderful Thanksgiving weekend and a great brunch!! Was this dish soggy! Like bread pudding? No, this dish has never turned out soggy when I have made it Leshon. The french toast slices should be firm, just like typically prepared french toast. Did yours turn out soggy? Is it possible to have the baking pan covered with aluminum foil from the start of baking til finished so it won’t get brown? If you’re worried about it getting too brown, you could check it about 15-20 minutes into the baking process and, if it’s beginning to turn browner than you like, then you could place a piece of aluminum foil loosely over the top of the pan for the last 10 minutes or so. This looks fabulous, I will try this recipe this Christmas, getting tired of the usual breakfast casserole. Thanks for posting! This might be a silly question, but do you put them in the pan overlapping as shown above? I’m so sorry that you had such bad luck with this recipe. I’m not sure what could have gone wrong, but I’m very sorry it didn’t turn out well for you. Found you via Pinterest. I think this is going to be on my Christmas Morning menu! Thanks for the recipe. You’re welcome, Julie! I really hope you enjoy it. What if it’s in the fridge for more like 16 hours? make a difference? I’ve never kept in the fridge for longer than 12 hours Lindsay, so I’m not sure if it would make a difference or not. If you do keep it in for longer though, I’d be interested to know how it turns out. Hey! I’d like to know if it will work with the regular sliced bread you find on the supermarket. I’m not from the US and I don’t quite understand what you mean with French bread, is it a special brand or kind of bread? Would it work if I use the regular Holsum like sliced bread? Thank you! Hi Eugenia. French bread is a kind of bread. It’s a crusty white bread baked usually in long thin loaves. I haven’t tried using regular sandwich-type supermarket sliced bread when making this french toast, as it is usually sliced pretty thin, and I’ve found that a thicker cut of bread works best in this recipe. I’m not sure what Holsum bread is, but if it’s a thick-cut bread, it may work. If you do decide to use regular sliced bread, I’d be interested to know how it turns out. Thank you for your comment, and thank you so much for visiting my blog! Ok Made the French toast this morning.. Flavor was Good, I never follow exact recipes. The only thing I would recommend is the Bread Lay Flat in a pan. I will try this next time. When the bread leans on each other, I found Most pieces Stick together with the egg mixture.. I used the Thick sliced Sweet Hawaiin Bread comes in a loaf at grocery stores.So I made do.. I pulled out the Pieces. Cut them in 1/2 triangles on the plate , and with the powdered sugar, It looked pretty and was delicious..! Made this with 12 slices of regular white bread. Followed the recipe exactly, except that I placed 6 slices of bread in the bottom of the 9×13 flat and then layered another 6 slices on top. Very excellent, not soggy at all! This looks delicious! Could you use Sour dough bread? I’m sure sourdough bread would work very well in this recipe, Shay. I’ve made this a couple of times with a combination Sourdough-French bread, and it turned out great. Just be sure that the bread is thick-cut. Made this for my Christmas breakfast and it was a big hit. I usually make a crock pot breakfast casserole, but wanted to change things up this year. It was so easy and yummy! Everyone including my picky daughter loved it. Thanks for a great recipe!! I’m so happy you and your family enjoyed this, Rita! Thank you very much for leaving a comment and visiting my blog! Made this for dinner tonight & I can’t wait to try this…whats the nutritional value for it? I’ll have to check and see if I have the nutritional value written down anywhere for this recipe. If I find it, I’ll post it here in the comments section. Thank you for visiting and trying this recipe. I hope you enjoyed it.